Offering a modern and professional working environment this business center consists of executive suites on flexible terms and ready-to-go meeting rooms and a business lounge. Coworking space also available all in a great Baltimore-Washington Corridor location, just 11 miles from Baltimore Washington International Airport. There is also an Extended Stay America and Homewood Suites by Hilton within two miles of the centre, perfect for any out-of-town guests and clients. Serviced office space located in the Howard County area offering easy access to freeways and to Fort Meade. The office suites are fully furnished and come equipped with the latest in telephony and network access and offer tailored business solutions so you only pay for what you need or use. This facility offers various packages making this an ideal business centre. Strategically situated between Baltimore and Washington D.C., this business center benefits from a wide range of nearby conveniences and a peaceful working environment. Within one of the wealthiest counties in the US, this business center offers a wider range of flexible office solutions and a fully stocked coffee and tea bar. Tenants have easy access to both Baltimore and Washington, D.C. and is right next to Columbia Mall. There is also an incredible range of exceptional and highly popular local restaurants including The Cheesecake Factory, which great for business dinners and corporate functions. Leased office space close to Route 32 and near to the I-95 offering easy access to DC and to Baltimore and to the Airport. These offices come fully furnished and offer many admin and secretarial services and include high speed internet and telephony services. This business district is close to the BWI airport and to the Savage Marc Station easily accessible via Route 100 and 29 close to the I-95. This facility offers either furnished or unfurnished offices equipped with the latest technology and communication services. Other facilities offered include admin and secretarial services such as fax and photocopying. 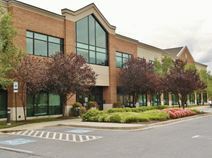 Office to lease near the Snowden River Parkway and to close to the Columbia Town Centre and a short drive to DC. Lots of hotels and diners available in the area making this a very convenient business location. This is a high grade and quality building with offices that are well furnished and offer various size configurations. The offices are equipped with the latest technology and telephony and offers wireless access with great support and admin amenities. Please also ask for our Virtual offices that are now available.